Game of Thrones stars past and present walked the red carpet at the premiere of the final season in New York. Obviously, we’re all going to be watching Game of Thrones from 15 April - but there are plenty more great shows to keep you busy in between episodes. Comedy, drama, thrillers - there’s something for everyone starting this month on Showmax. And of course, there’s that show about dragons. Here’s the list of new series arriving on Showmax this month. One of the biggest shows in history concludes with six bumper episodes and an ending no one will see coming. In the eighth season of the epic award-winning fantasy series, disparate characters unite to fight a common enemy. Seasons 1 to 7 are also available to binge-watch on Showmax. New episodes are available every Monday at 22:00, from 15 April. This supernatural drama series follows two detectives as they investigate crimes with a spooky twist. It’s the scariest, edgiest Afrikaans show we’ve seen for a while, and it’s going to have the whole of South Africa hooked! 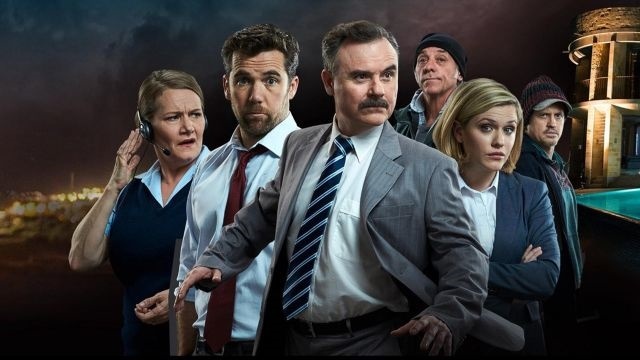 Weekly episodes on Tuesdays, express from kykNET. Revenge is the central theme this season, and it even brings enemies Bobby Axelrod and Chuck Rhoades together. Together with Wendy Rhoades, the trio has a sinister plan to take out those who’ve got in their way. New episodes arrive weekly at the same time as the DStv broadcast, and Seasons 1-3 are also available if you want to catch up. Leave it to a gaming janitor to save the world and, well, he fails. Josh is back at it, this time in the year 2162. He and his misfit team try to save humanity from being exiled to Mars - if they can survive all the time travel. Season 1 is also on Showmax, so you can stream from the beginning. First on Showmax. Will Ferrell executive produces and stars in this hilarious cop series. Detectives Cullen and Tolbeck spend a lot of time on a very uneventful stake out. The lack of action allows for some of the funniest conversations on TV. First on Showmax. An oil company damage regulator is sent to investigate a fatality at an oil rig when it’s hit by a hurricane that cuts all communication to the mainland. She soon begins to suspect the death was not an accident, and realises she'll have to find the killer among them. A tense thriller. First on Showmax. Hugh Grant portrays the real-life Jeremy Thorpe, who had tongues wagging in the 1970s. He was a Liberal Member of Parliament engaged in a secret affair with a man at a time when homosexuality was illegal. Based on the book. Ben Whishaw won a Golden Globe and TV Critics’ Award for his role as Thorpe’s lover. Local lass Pearl Thusi shares the screen with Priyanka Chopra in this crime thriller. Priyanka plays Alex Parrish, an FBI recruit training at the Quantico base who's later suspected of being a sleeper terrorist. Snoop Dogg, Jon Stewart, Drake, Jimmy Kimmel and Ice Cube are some of the big names who step into barber shops across America to chat to LeBron James and Maverick Carter about sports, pop culture, world events, business and more. A suicide shakes up a group of friends who realise that they shouldn’t take their own lives for granted. Each of them takes steps to live a fuller life. An ensemble cast delivers deeply emotional performances. Watch from 15 April. Idris Elba reprises his Golden Globe-winning role as the titular character John Luther. The troubled detective works hard to solve grisly murders while dealing with his own demons. Speaking of which, Alice is back from the dead… Seasons 1 to 4 are also available on Showmax. 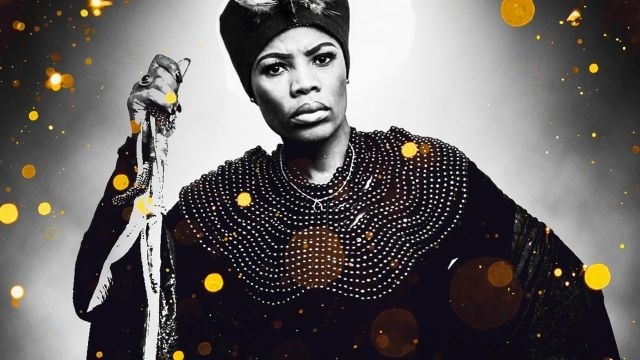 In season 2 of the SAFTAs nominated drama, Ma'Mngadi's waining powers force her to confront her past, while Kayise is on a path of accepting her destiny. Binge the series from the beginning on Showmax. New episodes weekly. 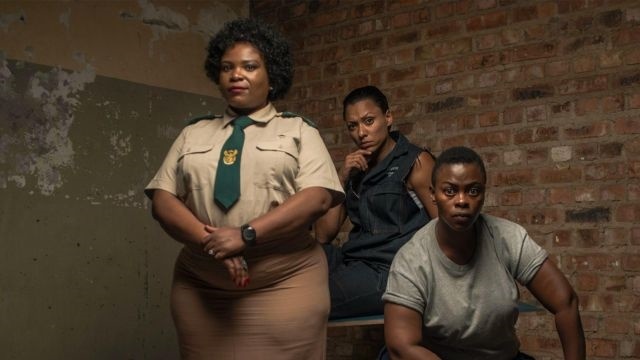 Lockdown is back for another thrilling season at the women's jail, where power and survival mean everything. Don’t worry if you’ve missed some episodes - all three earlier seasons are waiting for you on Showmax. New episodes weekly. Here are a few more series we’re looking forward to this month. Get a taste of the Showmax action with a two-week free trial. Thereafter, it costs just R99 per month to enjoy thousands of series, movies and doccies. If you’re a DStv Premium subscriber, the great news is that Showmax will not cost you a single extra cent. Just go to www.showmax.com/dstv to sign up and enjoy full access to Showmax at no extra charge.